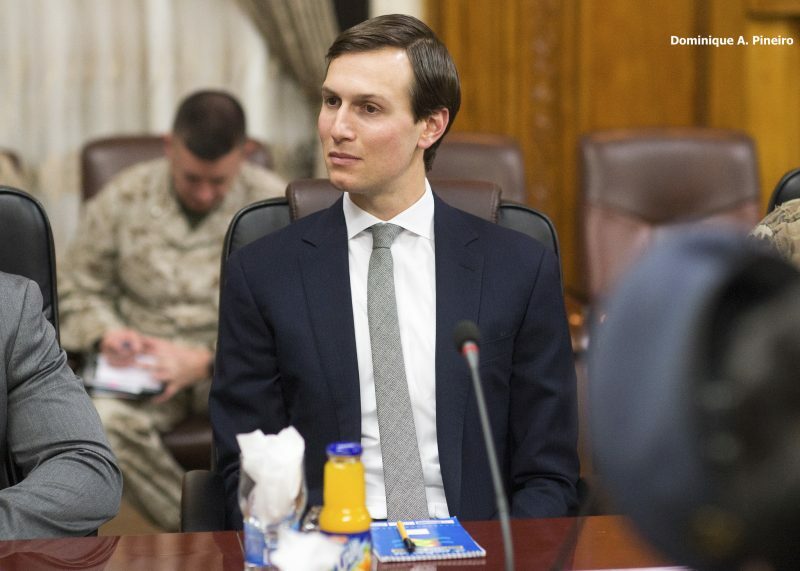 Jared Kushner, President Trump’s son-in-law and senior advisor, as well as envoy Jason Greenblatt and deputy national security advisor for strategy Dina Powell, are in Israel and Palestine today in an attempt to restart the stalled Israeli-Palestinian “peace process.” According to the White House, their discussions with Israeli Prime Minister Benjamin Netanyahu and Palestinian President Mahmoud Abbas will in part focus on economic stepsthat the parties believe help create conditions for peace. Yet more economic development initiatives are not a substitute for political change, particularly when tensions are seething in the West Bank, including Jerusalem, and when Gaza is facing a politically constructed humanitarian catastrophe. Despite Trump’s early enthusiasm to reach a peace deal, it is now anyone’s guess whether the US intends to advance specific terms of reference for a final status agreement. Dozens of meetings have already been held between Greenblatt and the two sides, yet the administration is still reluctant to publicly state its unequivocal support for a settlement freeze and its commitment to the two-state framework. With reports surfacing that Netanyahu recommended to Trump that the large blocs of Israeli settlement-colonies in the West Bank be annexed to Israel in exchange for Israel ceding Wadi Ara, territory heavily populated with Palestinian citizens of Israel, to the Palestinian Authority, the time is now for Trump’s Middle East team to speak loud and clear about the role it intends to play in negotiations. That role can’t be merely focused on facilitating Palestinian “economic development” projects or other goodwill gestures, such as extending hours of operation at the Allenby Bridge, which connects the West Bank and Jordan; meting out additional water allocations or power distribution; or authorizing Palestinian students to leave Gaza for study abroad. President Obama also championed such palliatives – much of the time unsuccessfully – which allowed Israel to run out the clock on ending its occupation over Palestinian land. The same will happen under Trump if the US does not act. Within the internationally recognized framework of the two-state solution, the US should secure mutual recognition of the baseline for the border between the states of Palestine and Israel – the June 4, 1967 line – with the understanding that any border adjustments must be agreed to. No peace agreement is valid when signed while an occupation exists. Recognition of the baseline takes this into account, establishing an essential term of reference for a territorial agreement that would give Palestinians a reason to believe that the next round of talks would be serious. It also permits Israeli leaders to begin the process of building consensus for a durable two-state solution before the influence of a rapidly growing settler population – now over 650,000 – overwhelms the prospects for peace. A total settlement freeze must be in place during talks. History has proven that time is on the side of the party building and expanding settlements. The US must therefore remove the incentive for Israel to engage in foot-dragging. The US ought to tie allocations of security assistance made under the latest ten-year US-Israel MOU to Israel’s removal of movement and access restrictions so that badly needed infrastructure projects in the West Bank and Gaza can start immediately. Aid distribution should also be conditioned on expansion of Palestinian sovereignty into Areas B & C as final status talks progress to ensure a comprehensive agreement is reached. Because an addendum to the MOU prevents Congress from appropriating any additional assistance to Israel absent an emergency, the executive branch is in a unique position to leverage its aid to Israel in pursuit of peace. The US must enforce US regulations regarding country of origin markings on products originating from the West Bank. Such products should be labeled “Made in the West Bank” or some other authorized designation. In addition, the counterintuitive practice of allowing settlement products to benefit from duty free treatment in the US should end.